Every year my mother, my sister and I take an annual Interior Design trip to Paris. We visit the fair Maison & Objet in which we choose the collections to sell for the next few months. After visiting the design fair it is then routine to dine somewhere delicious and delightful. Quite a few years ago we frequented Le Petit Zinc, it was always a delight – the service and the food, until the service became worse and worse. Rude waiters, slow service. Then we stopped. We instead went to our old faithful friend Le Relais de l‘Entrecote. I thoroughly recommend visiting Le Relais de l’Entrecote for delicious steaks and chips, and their delicious secret sauce – OH LA LA! We decided to forgive Le Petit Zinc and give it another shot. It was my mother’s birthday so we wanted it to be an incredibly special occasion. Unfortunately, it was disgusting. 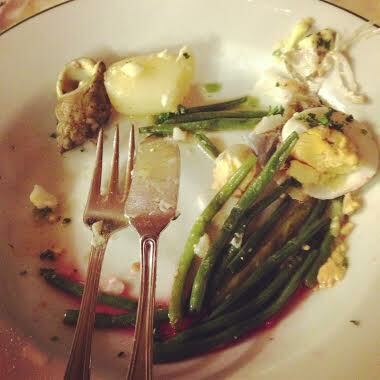 The food was rotten – actually mouldy, or served cold. We waited over an hour for a cold fish soup. 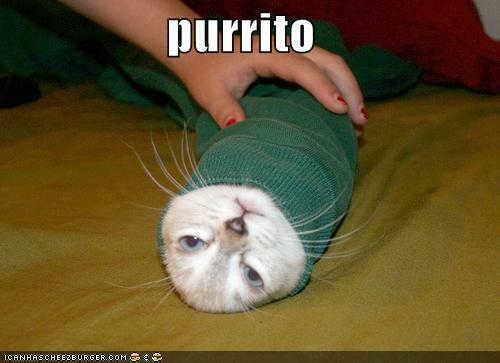 Which when it was being brought over had a waiters fingers in it…. I can’t actually believe I am writing this. It was the WORST restaurant I have ever been to! THE WORST! The fish soup that took so long to arrive was cold. It was also filled with flour. It tasted like eating something that was not edible. We all decided it was what wallpaper paste tasted like. Brown wallpaper paste with odd bits of dill and rubbery carrot floating in it. None of us finished it, which is incredibly rare for us Williams girls. My main fish course was served with a side of over cooked, yellow green beans, an over-cooked greying hard boiled egg, one watery boiled potato and what seemed like a pint of oil. My mother replied “Yes I can see that. 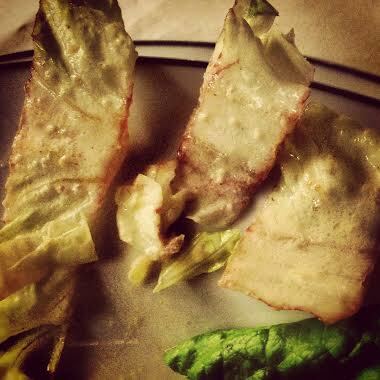 A variety of gone off salad leaves.” The waiter walked off and from then on refuse to serve us at all. No one attended to our table. We sat there requesting service for an hour and a half before deciding it was time to leave this awful restaurant with mouldy food and disgusting service. Avoid Le Petit Zinc at all costs. Instead visit the lovely and delicious Le Relais de l‘Entrecote over the road, where the service is good and so is the food. Adidas Originals rock my world. 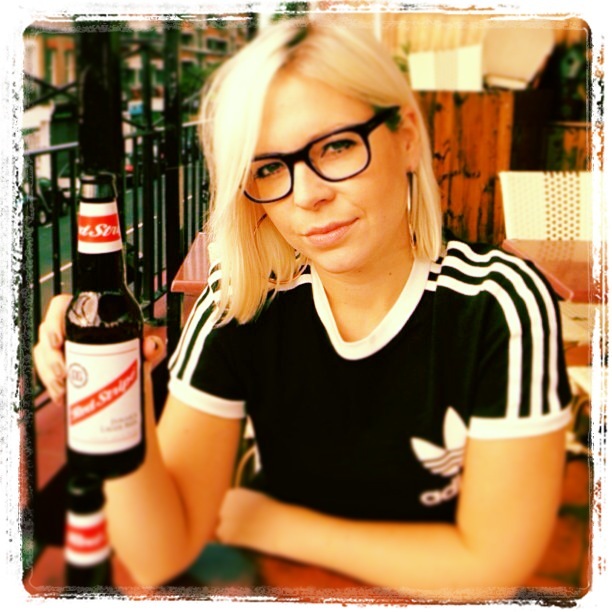 Check out my new Adidas Originals t-shirt. Isn’t it damn sweet?! Completely sold out and not available online. Lap it up suckers. Oystah Card by Mark Professor (Produced by Wrongtom). Oystah Card is your new tune of the summer. Lap it up while it’s hot. The easiest pasta recipe there ever was! I love pasta and I’m incredibly impatient. That’s why I always work from this fresh pasta recipe. It’s very easy to make and also to remember, which makes it a go-to classic every time I get a spag craving! 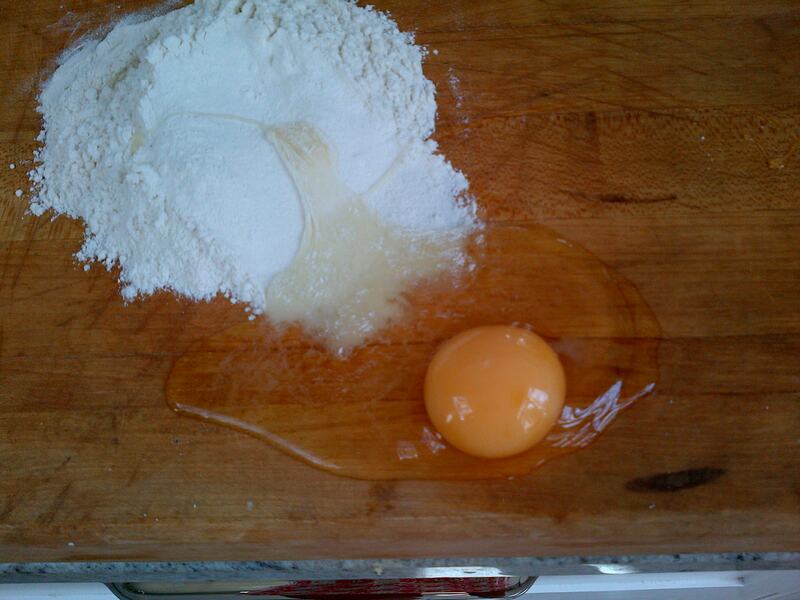 1 person = 1 egg + 100g of strong white flour. 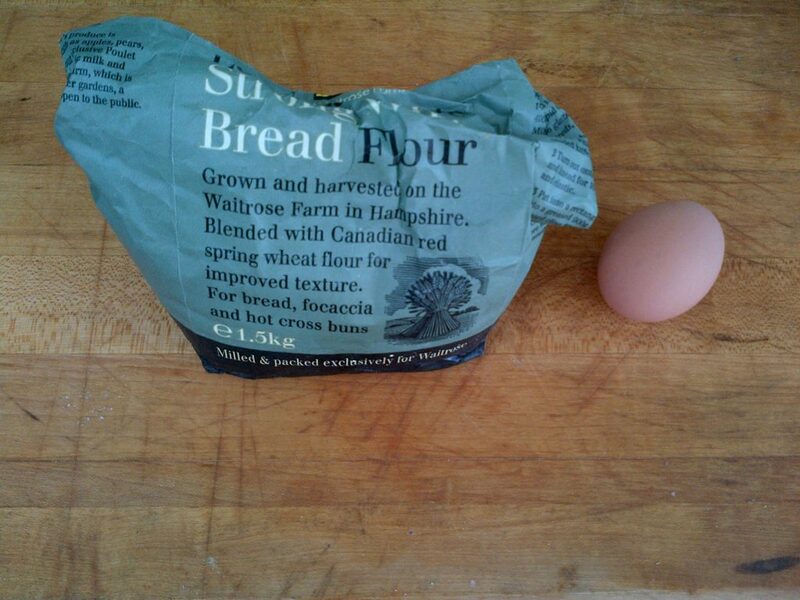 four people would be 4 eggs and 400g strong white flour etc etc etc. The first step is to make your pasta dough. Take your flour and egg and mix them with your fingers on a clean dusted work surface, until the mixture is all stuck together. Then start to knead the dough for about 10 minutes. Secondly, roll out the dough with your rolling pin (or bottle of wine), needs must. 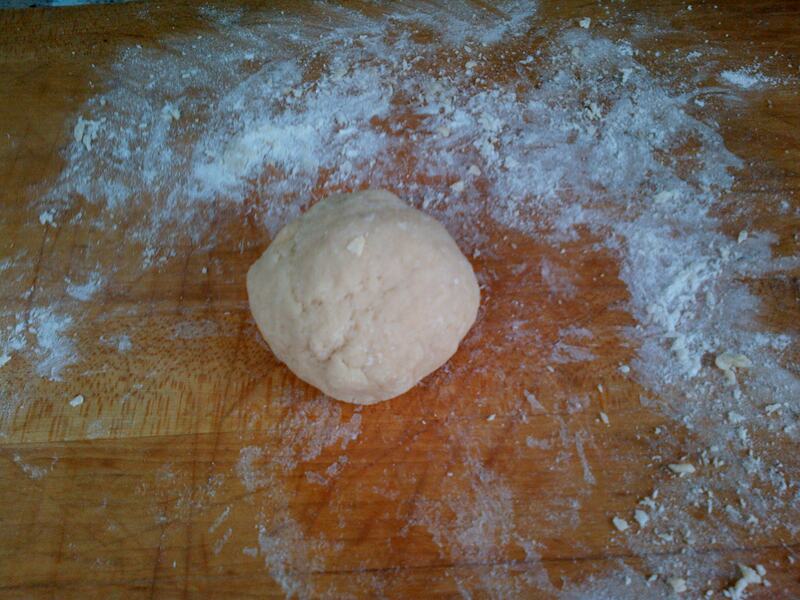 Using a bottle of wine to roll your dough is a great idea as it’s on hand to drink whilst cooking. I am a huge believer that drinking wine is an excellent thing to do whilst cooking. 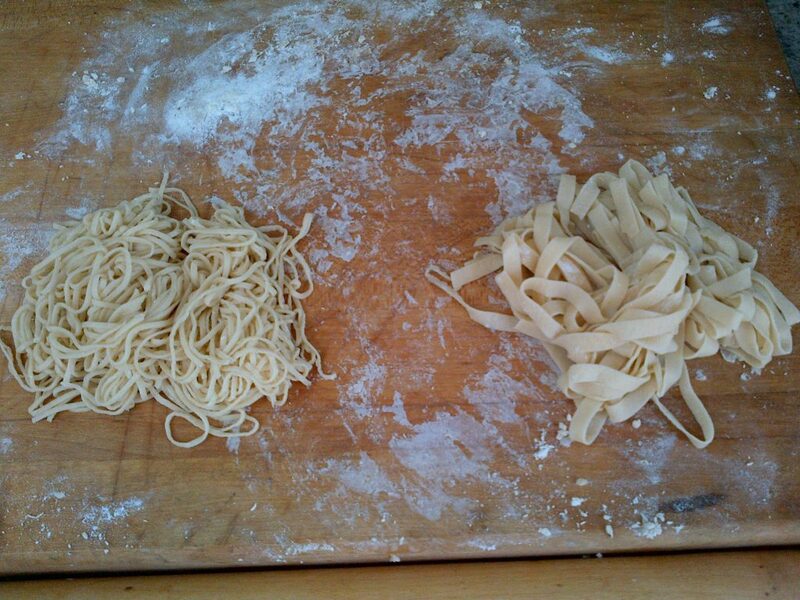 If you’re not ready to cut your pasta yet; soak a tea towel and place the rolled pasta dough on top of it. 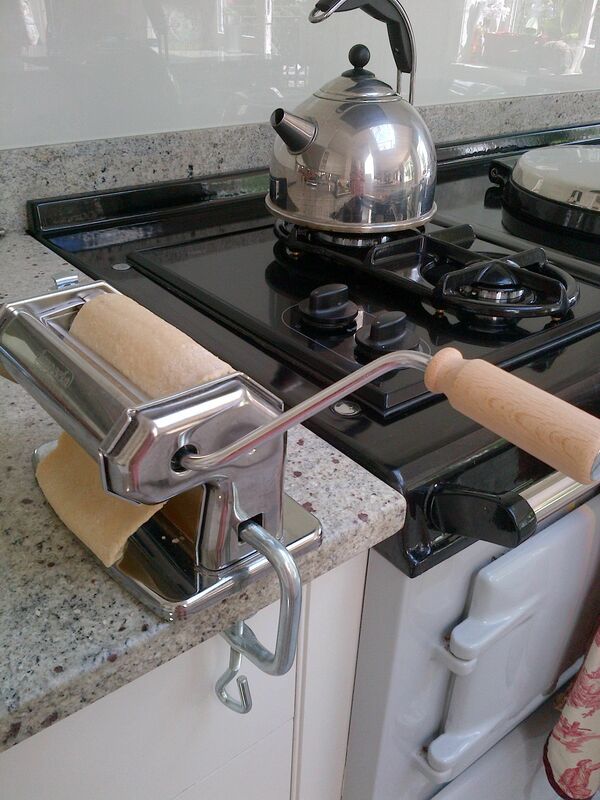 No pasta machine? No worries! All the Italian mamas do it by hand so get stuck it thinly slicing your dough. 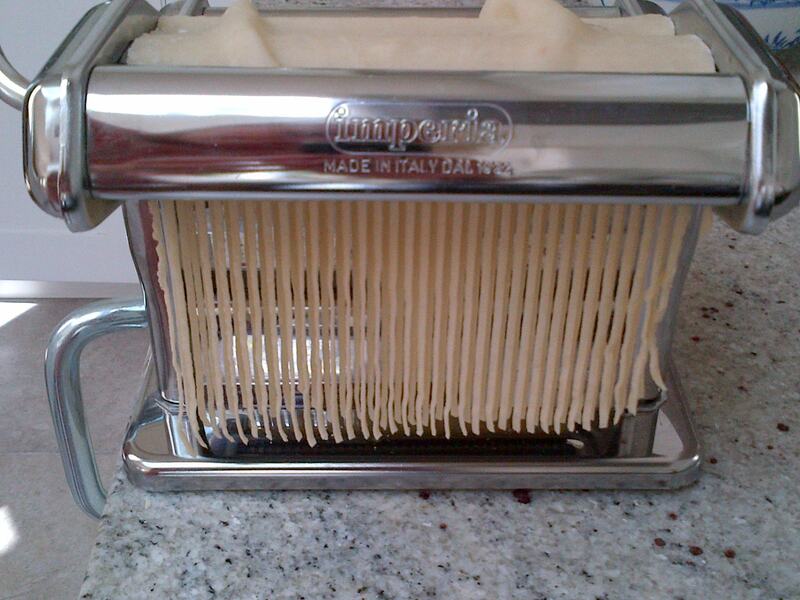 If you love your gadgets get pasta machining. Once ready to rock ‘n roll put your pasta in a saucepan of boiling hot water for about 3/4 minutes. Straight from the pan, drain and serve. 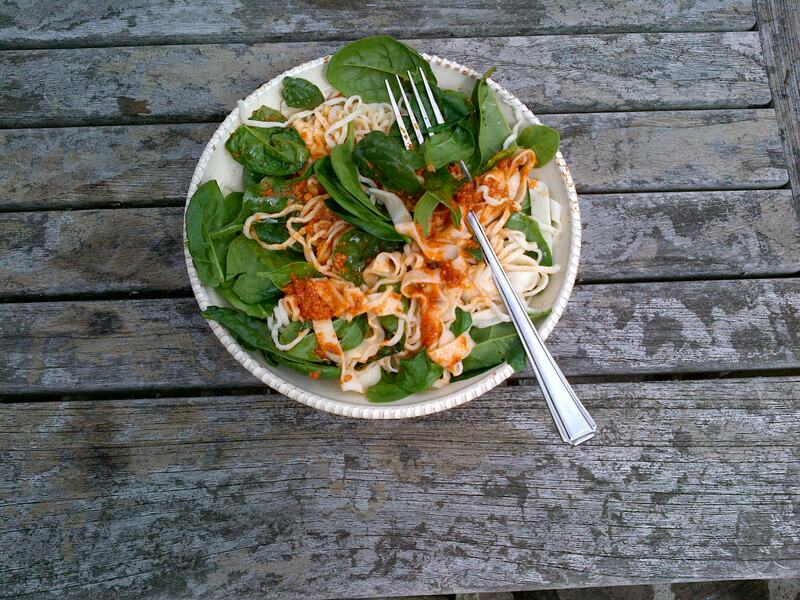 I love dribbling a little fresh chilli pesto and mixing in some raw spinach leaves for a bit of crunch. I recently was in hospital for a week, on a drip, on a roller coaster of hysterical drug fuelled laughing to a nightmare of constant injections, scans and 8 blood tests a day. As soon as that was over it was too late to book a holiday for my time off work (set aside for a little spanish sun). 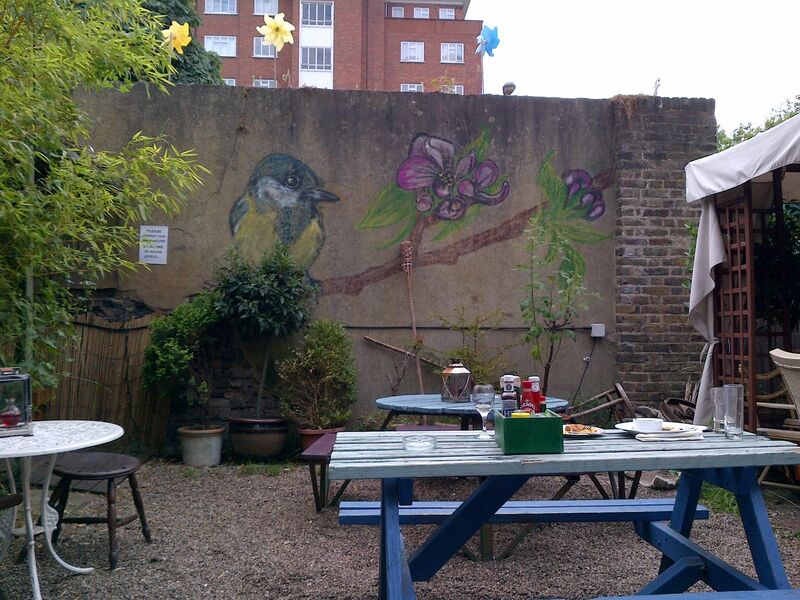 Instead, I was treated to a day out rowing in Battersea Park and a lunch at The Magic Garden. 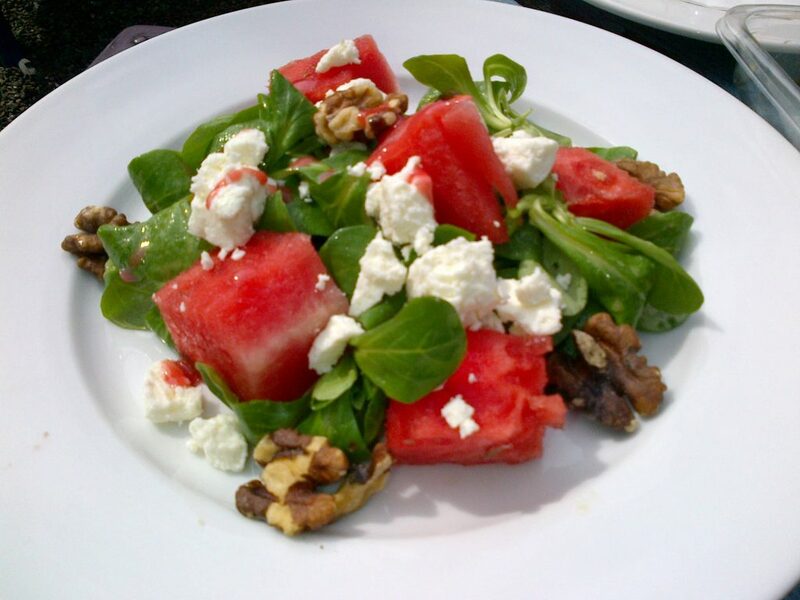 To start I had the water melon, feta and walnut salad (£6). This was lovely and refreshing. The combination of crunch, crisp and neutral lambs lettuce was a delicious taste-bud-tickler to kick start our lunch time feast. Being a massive cheese lover, for my main I chose the colston bassett stilton panna cotta, roasted figs & toasted walnuts (£10). 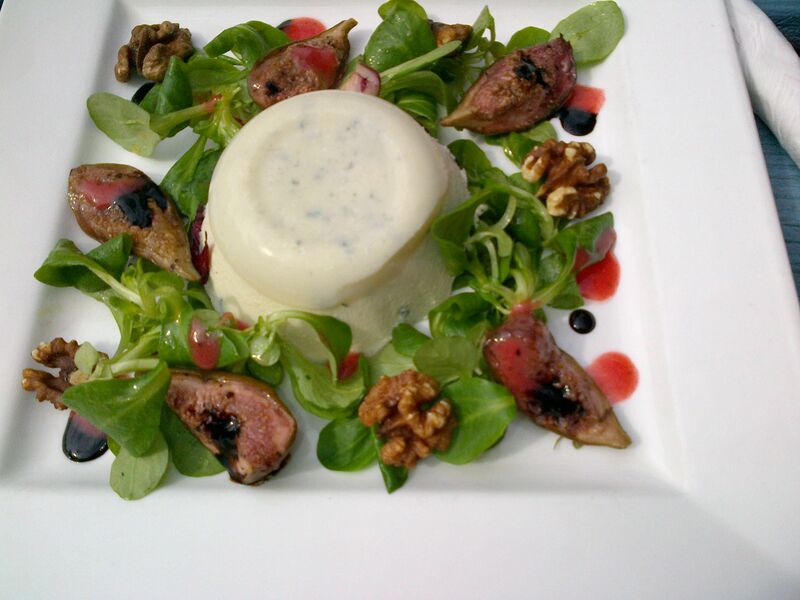 “Stilton panna cotta? !” I hear you cry. Yes, and as exciting as it sounded, it was not. 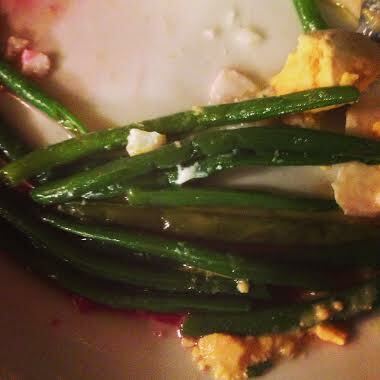 It was tasteless and quite watery which was a huge shame as the rest of the meal was scrumptious. I am not one to leave food on my plate at the end of a meal, (you’ll often find me licking the gravy off my plate after one of my Yorkshire lass mum’s Sunday roasts) but I have to admit – that small white jellied cheese went away with only one forkful removed. 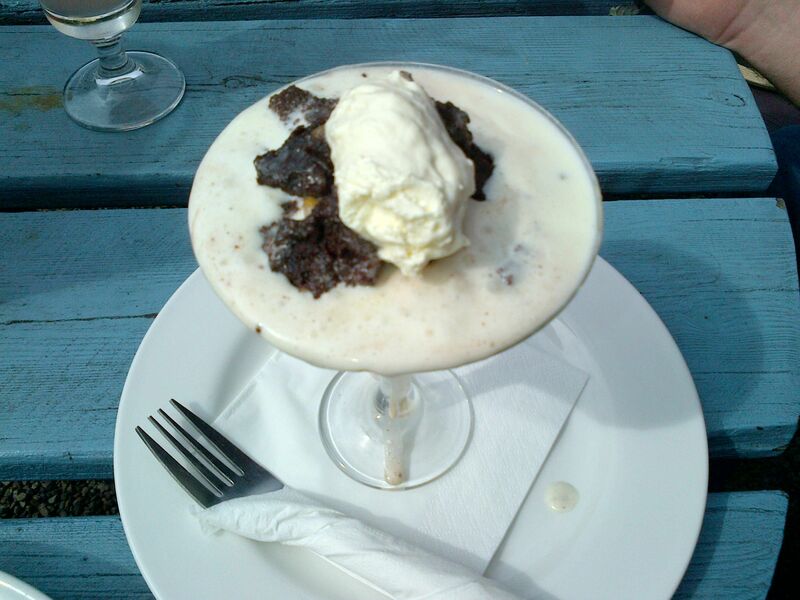 For pudding I ordered the chocolate brownie & vanilla ice cream sundae (£5). This was deliciously sweet and was served in a dinky cocktail glass. I would’ve enjoyed it slightly more had it not been so melted upon arrival. Oh and they have a cat with awesome whiskers in the garden so I’ll give an extra 0.5. 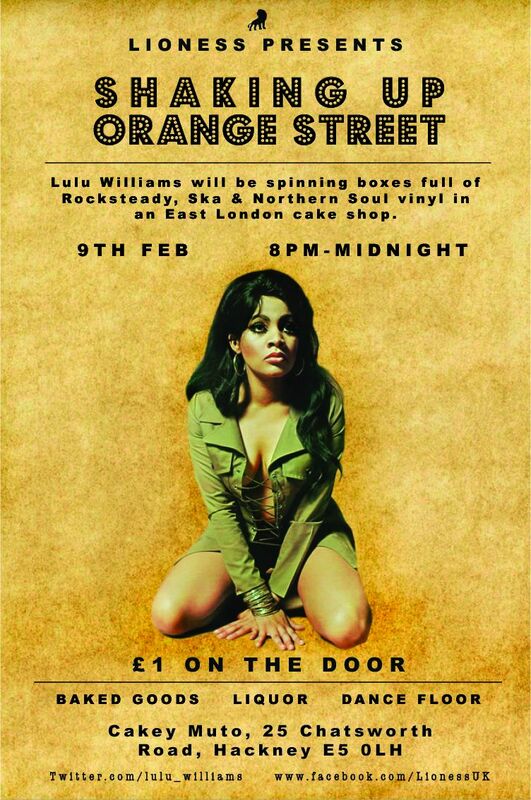 I’m DJing at Street Art London: Baroque The Streets tomorrow! 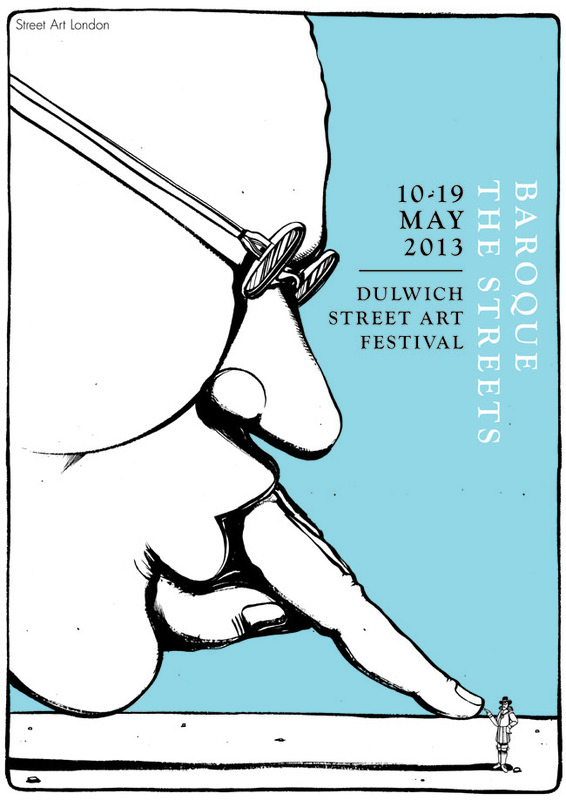 Tomorrow’s the opening party for the Baroque the Streets Exhibition as part of the Dulwich Street Art Festival. Full scale installations throughout the fabric of a large mansion in Dulwich by participating artists in the Dulwich Street Art Festival. I’ll be there DJing with Eli from The Wreck-It Up Crew. 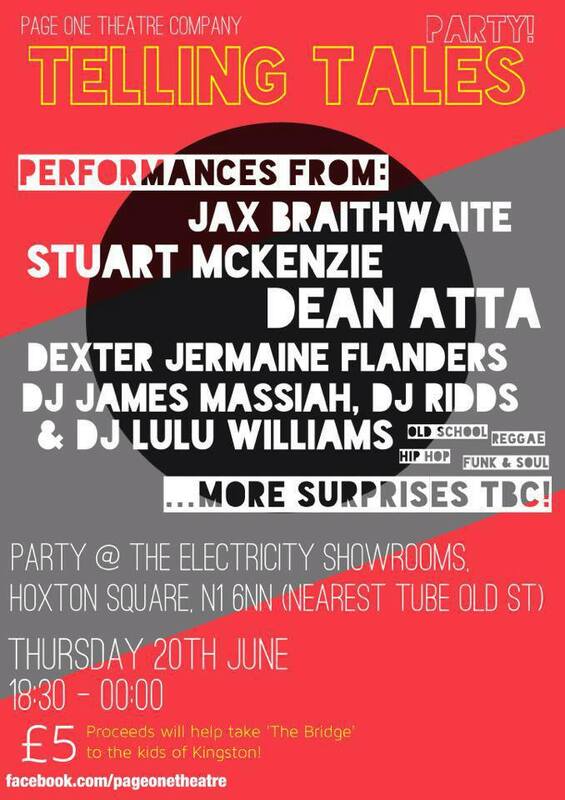 I’m spinning my records here tomorrow! 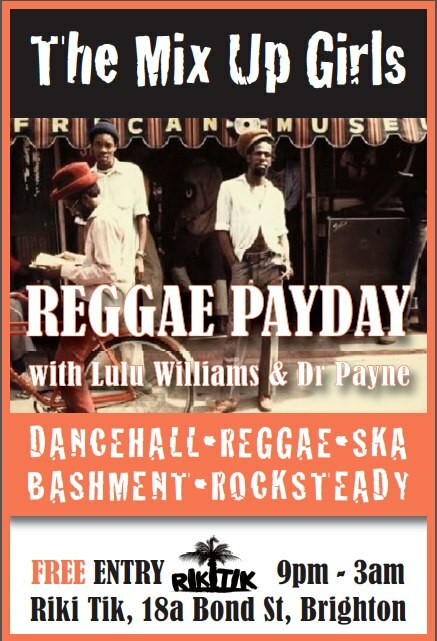 Come and get some Reggae in your system!